In addition to their proven exploits, great men are often lauded for things they didn't even do: like Columbus discovering America, and Milli Vanilli singing. Now receiving acclaim for founding the Beatles, Scottie Pippen. 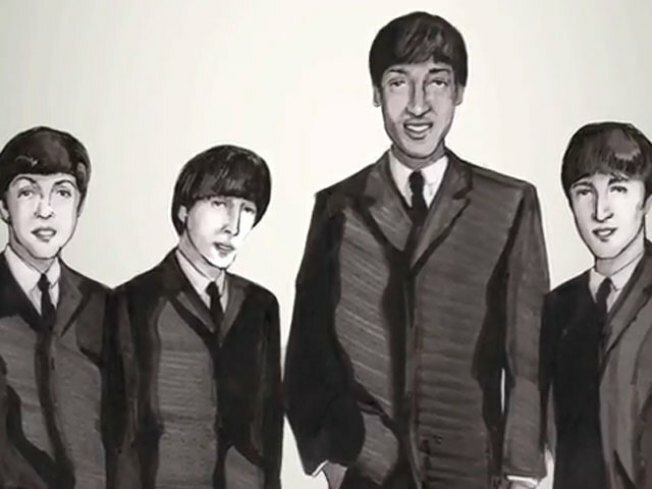 The latest vid from "King of Dot Comedy" Scott Gairdner, Beatles 3000 imagines a future world where documentarians believe the Liverpool fab foursome was founded by John Lennon, Paul McKenzie, Greg Hutchinson and Scottie Pippen, who nose a thing or two about music (zing! snoz puns!). The doc, ostensibly published in 3126, looks back at the Beatles and their legacy 1,000 years later. "Americans were shocked," says one futuro-anthropologist, describing the Beatles first-ever American appearance at Ed Sullivan's annual Woodstock. "I mean, at this time, the overwhelming style of music was opera. No one had ever heard of any piece that was less than 3 hours long." The faux-umentary goes on in Idiocracy-like detail to describe the Beatles' catalogue ("Paperback Writer, Ticket to Run, Wipe Out") and their invention of the thumbs up and Mickey Mouse. Their musical genius eventually culminated in their kaleidoscopically brilliant album, Sgt. Pet Sounds and the Spiderz from Aja. The three minute vid's below. Totally worth it, Pippen fan or no.